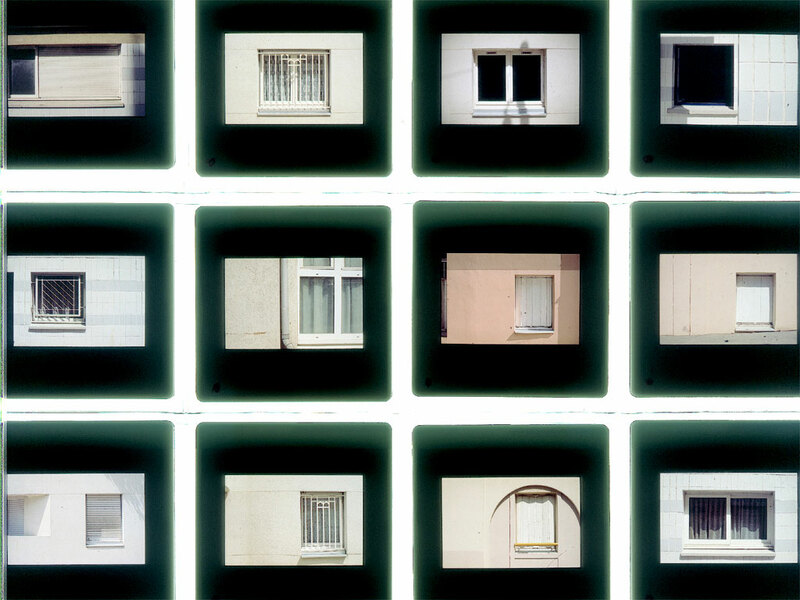 Color slides, two projectors; double-sided black and white poster, offset, 40 x 102 cm [27 1/2 x 40 1/8 in. 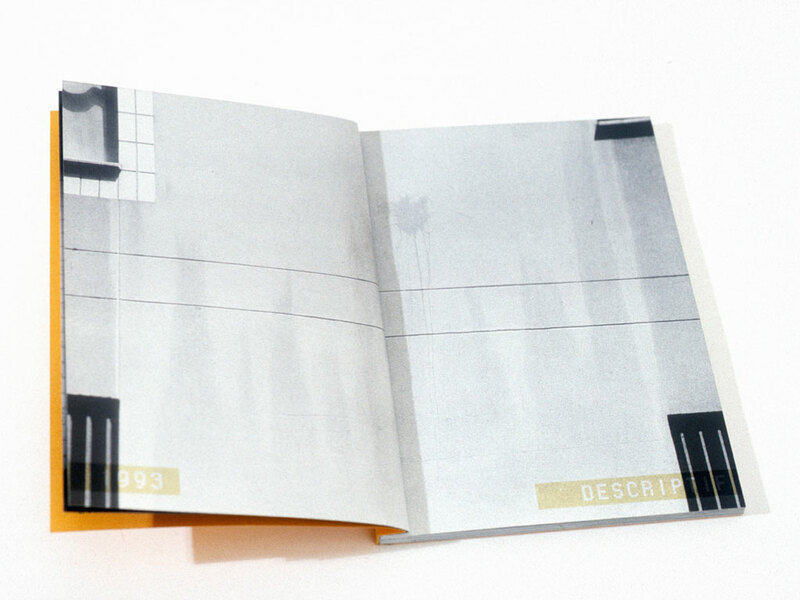 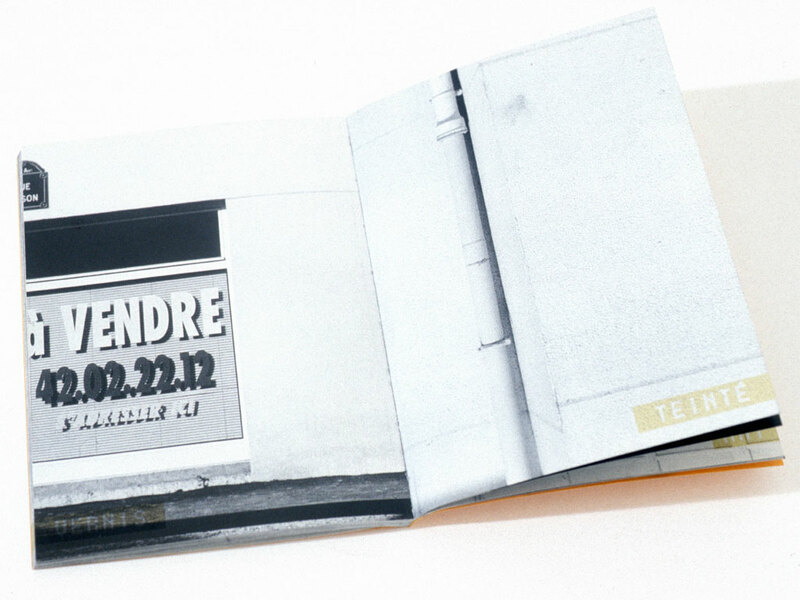 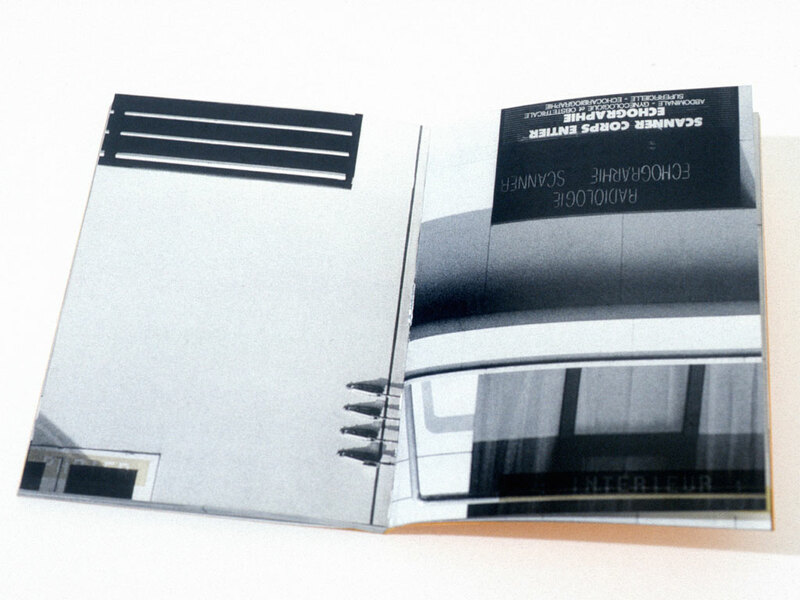 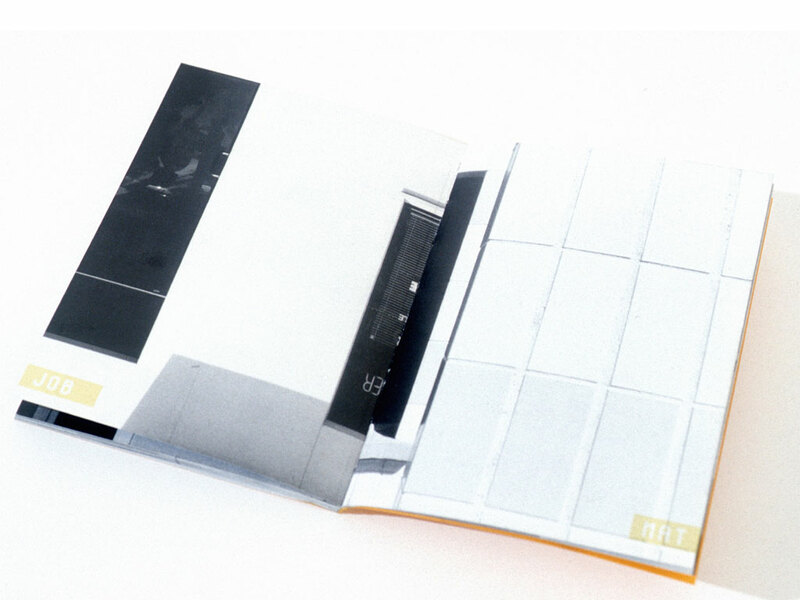 ]; book, 64 pages, offset, 15 x 11.5 cm [5 7/8 x 4 1/2 in.]. 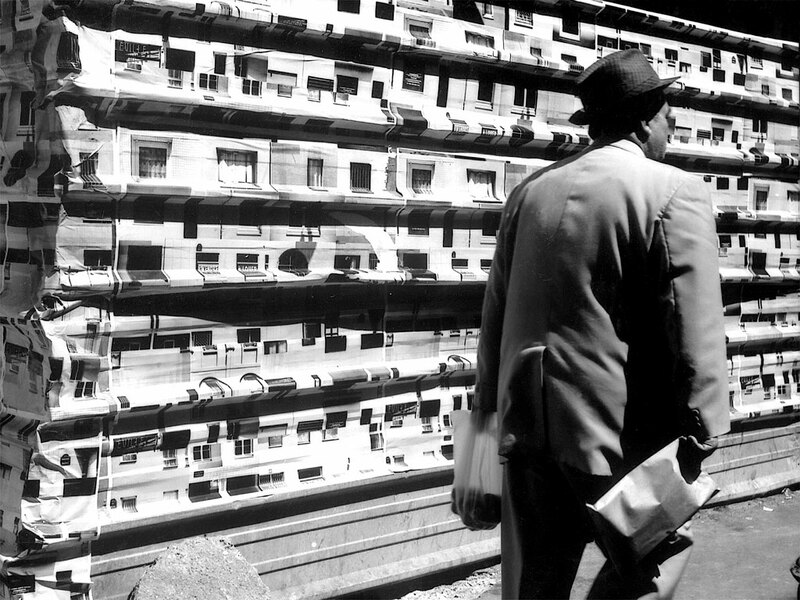 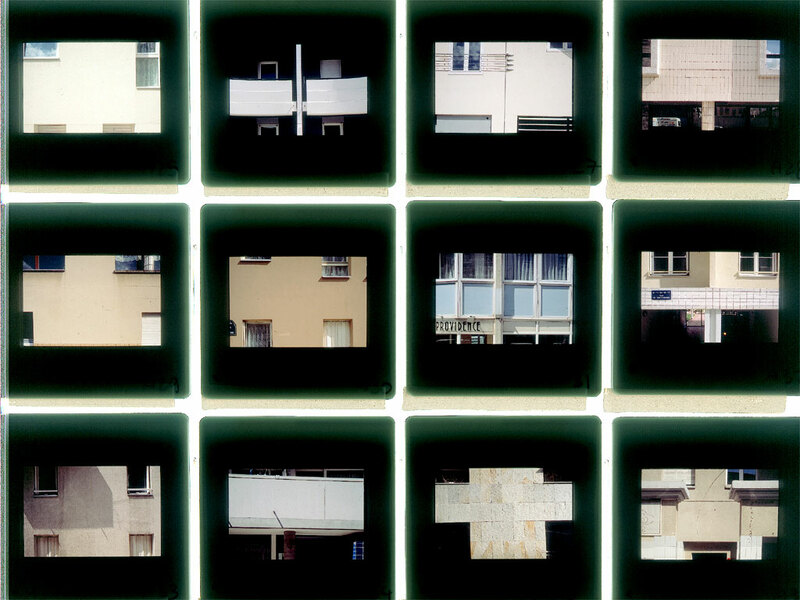 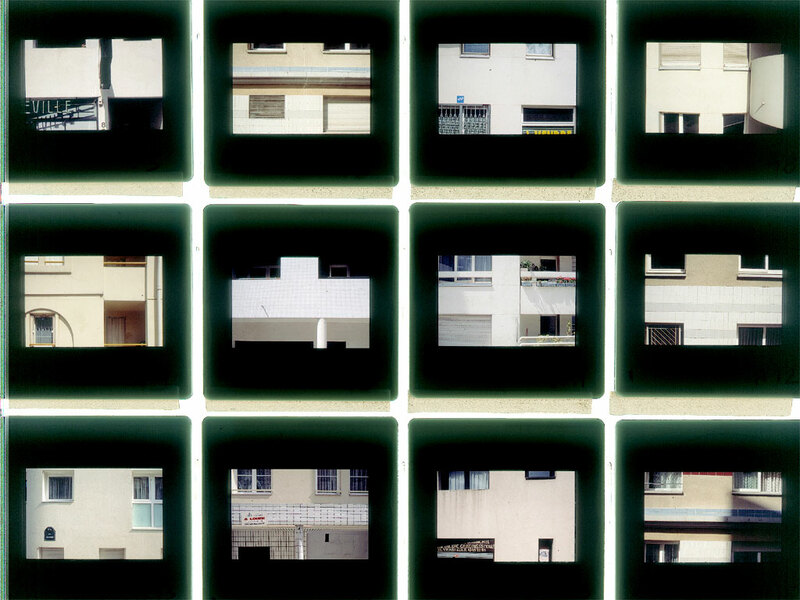 Photographs and slide installation in collaboration with Stéphan Lucas. 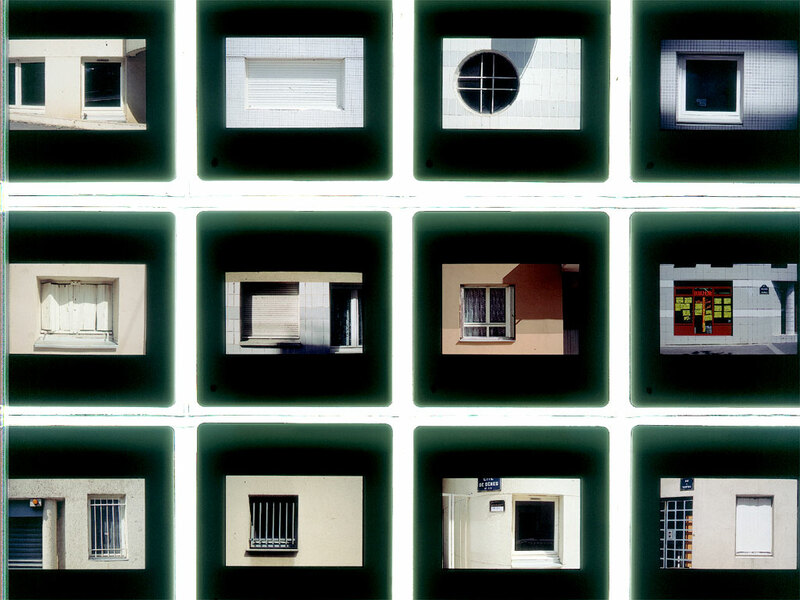 Together with Stéphan Lucas, I photographed details in the facades of recently constructed buildings in Belleville, the neighborhood where the exhibition took place. 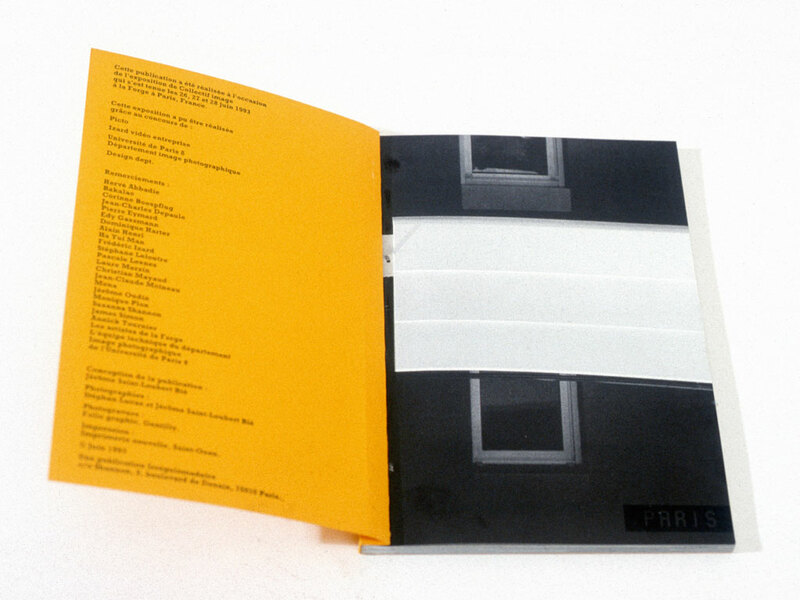 Weaving a relationship between the architecture of the exhibition space and the surrounding environment and exploring the implications of these images when presented through different supports, this project comprises three parts: a double slide projection on opposite walls; a two-sided poster, posted in the street nearby the exhibition space; and a book made from the same poster folded, bound, and cut.